We have an exclusive and valuable collection of original work and memorabilia by WL Wyllie. Wyllie, A Life in Sketches, is a must see collection with much of the work dating back to his childhood and early adult years. We also have original etchings, limited edition prints and greeting cards too. 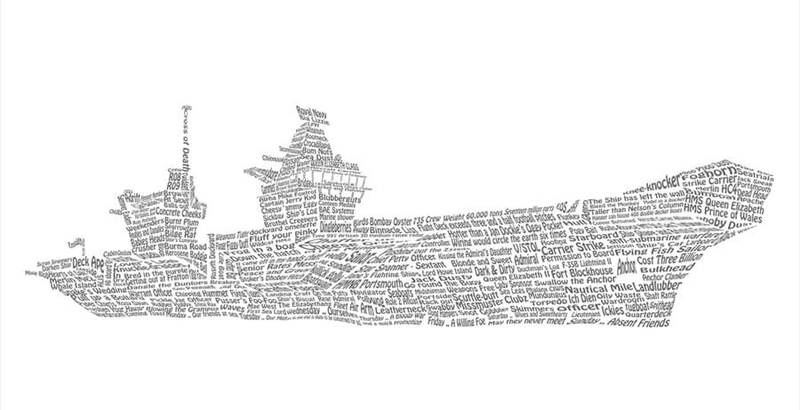 Our very own in-house artist, Tim Hut, produces wonderful Naval word art images. Following the contours of each ship, Tim meticulously fills the image with words pertinent to the Navy and the particular ship he is working on. All Tim’s work can be personalised, allowing you to choose up to 8 words of your own to be included in the image. A great gift for someone in the Royal Navy!